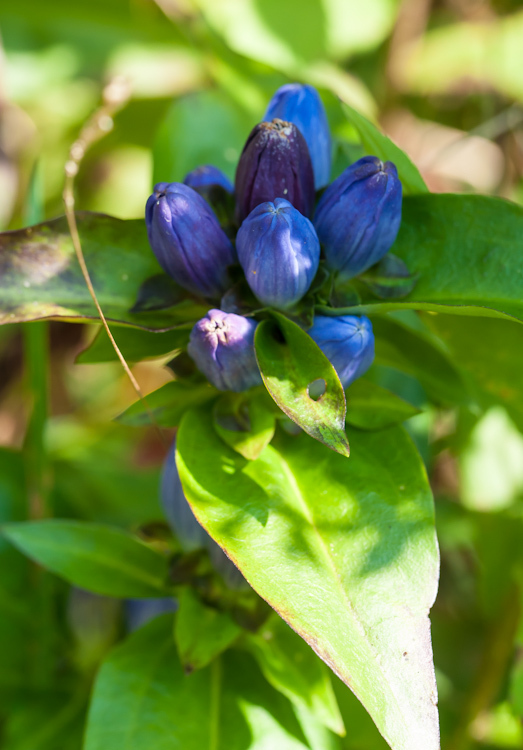 Blue bottle Gentian blooming out in our front field. This morning in Huntington at 6:45AM it’s currently 55 degrees under partly cloudy skies. Winds are calm. Relative humidity is 98%, dewpoint 55, barometric pressure 29.88″ and steady. 24hr high was 80, low 55. We’ll see partly sunny skies this morning, then mostly cloudy skies with a chance of showers and thunderstorms this afternoon as a cold front drops down from Canada. Some thunderstorms may produce gusty winds and locally heavy downpours this afternoon. Highs will be in the lower 80s with southwest winds 10 to 15 mph. Chance of rain is 30%. Tonight should be partly cloudy until midnight, then clearing as dry air moves in. Lows will be in the upper 50s with northwest winds around 10 mph. Saturday should be mostly sunny with highs in the lower 70s and northwest winds around 10 mph. Saturday night should be clear with lows in the mid 40s and southeast winds around 10 mph. Sunday’s looking mostly sunny with highs in the mid 70s and light and variable winds. Sunday night should be mostly clear with lows in the lower 50s. Last year on this date we had a high of 76 and a low of 56. Burlington norms for this date are highs of 76°F and lows of 56°F. Record high was 92°F in 2010 (we had a high of 89). Record low was 35°F in 1965. Tomorrow will be 2m 57s shorter. The Moon is the full Blue Moon as it’s the second full moon in August. 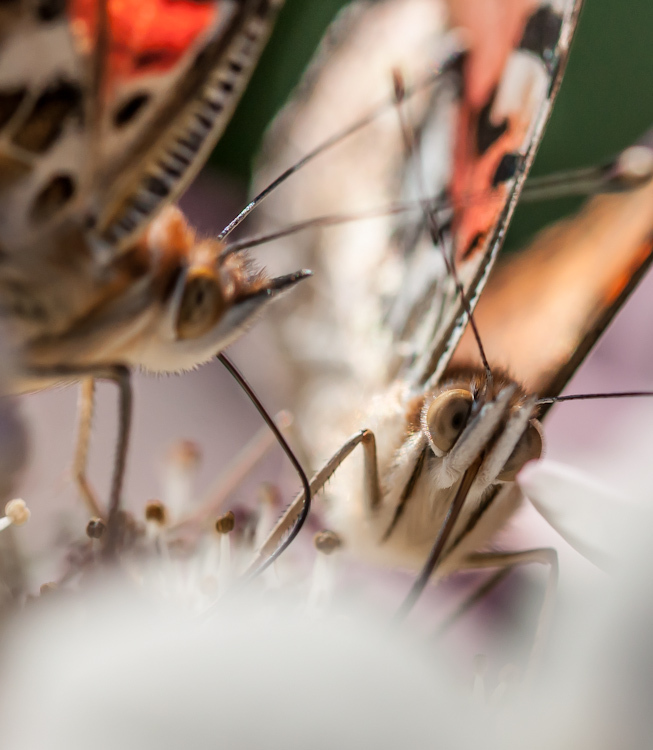 A pair of Painted Ladies on the back patio hydrangea. This morning in Huntington at 6:30AM it’s currently 45 degrees under clear skies. Winds are calm. Relative humidity is 98%, dewpoint 45, barometric pressure 30.00″ and rising. 24hr high was 74, low 45. High pressure will give us another sunny day today. It will be warmer with highs around 80 and southwest winds 10 to 15 mph. Tonight should be clear until midnight, then become partly cloudy. Lows will be in the mid 50s with southwest winds 10 to 15 mph. Friday should start off partly sunny. There’s a chance of showers and thunderstorms in the afternoon as a weak cold front drops south out of Canada. Highs will be in the lower 80s with southwest winds 10 to 15 mph. Chance of rain is 30%. Friday night should be mostly clear with lows in the mid 50s and northwest winds 10 to 15 mph. Saturday’s looking sunny with highs in the lower 70s and light and variable winds. Saturday night should be mostly clear with lows in the upper 40s. Last year on this date we had a high of 77 and a low of 48. Burlington norms for this date are highs of 77°F an lows of 56°F. Record high was 93°F in 1991. Record low was 39°F in 1965. The Moon is waxing gibbous, 12d 19h old with 99% illumination. 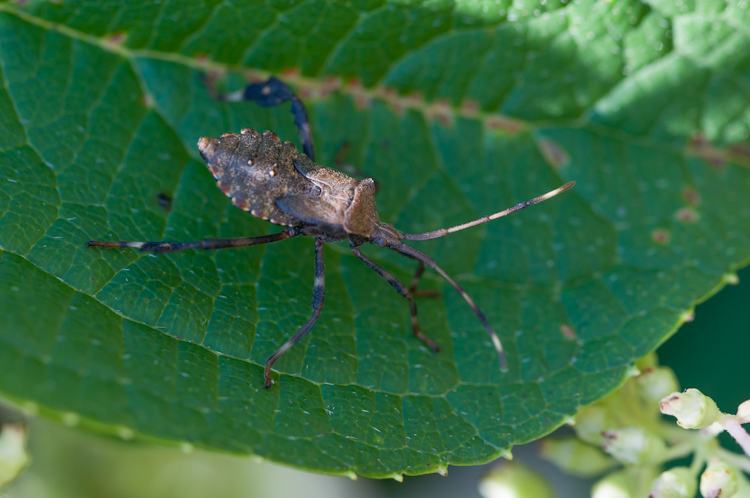 A leaf-footed bug on a hydrangea leaf on the back patio. This morning in Huntington at 6:30AM it’s currently 44 degrees under clear skies. Winds are calm. Relative humidity is 98%, dewpoint 43, barometric pressure 29.96″ and rising. 24hr high was 75, low 44. High pressure is building over our region today. We’ll see sunny skies with highs in the lower 70s and northwest winds around 10 mph. Tonight should be clear with lows around 50 and southwest winds around 10 mph until midnight, becoming light and variable. Thursday should be sunny and warmer with highs in the lower 80s and southwest winds 10 to 15 mph. Thursday night should be clear with lows in the upper 50s and southwest winds 10 to 15 mph. Friday’s looking partly sunny with highs in the lower 80s and southwest winds 10 to 15 mph. There’s a slight chance of showers and thunderstorms Friday afternoon as a weak cold front move in. Friday night should be partly cloudy with lows in the lower 60s. Last year on this date we had a high of 66 and a low of 55. Tropical Storm Irene had dumped 5.41″ of rain here in about 6 hours. We were in Ohio dropping Emma off at school when we heard that our basement had flooded. Thanks once again to our awesome friends and neighbors–the Hendrickson clan, and Patty, Steve and Jon–for doing all that you did. You came to our rescue! Burlington norms for this date are highs of 77°F and lows of 57°F. Record low was 41°F in 1941. Tomorrow will be 2m 55s shorter. The Moon is waxing gibbous, 11d 18h old with 95% illumination. This morning in Huntington at 6:20AM it’s currently a muggy 64 degrees under overcast skies. Winds are calm. Relative humidity is 99%, dewpoint 64, barometric pressure 29.79″. We picked up 0.32″ of rain in the past 24hrs. 24hr high was 79, low 64. The cold front that brought us the overnight rains will move across the region today. Morning clouds will dissipate to bring us partly sunny skies this afternoon as a clear, cool Canadian high builds in. There’s a 20% chance of showers this morning. Highs will be in the mid 70s with northwest winds around 10 mph. Tonight should be clear and less humid with lows in the upper 40s and northwest winds around 10 mph. Wednesday should be sunny with highs around 70 and northwest winds around 10 mph. Wednesday night should be clear with lows in the lower 50s and southwest winds around 10 mph. Thursday’s looking sunny with highs in the upper 70s and southwest winds 10 to 15 mph. Thursday night should be mostly clear with lows in the upper 50s. Record high was 94°F in 1952. Record low was 39°F in 1925. Tomorrow will be 2m 54s shorter. The Moon is waxing gibbous, 10d 18h old with 89% illumination. 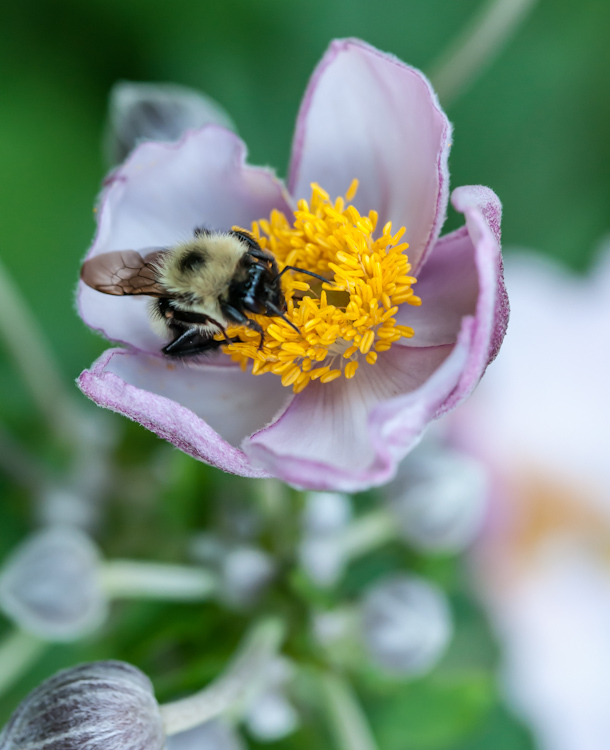 A bumble bee works a bloom in our flower garden. This morning in Huntington at 6:15AM it’s currently 59 degrees under mostly clear skies. Winds are calm. Relative humidity is 96%, dewpoint 58, barometric pressure 30.10″ and falling. 24hr high was 84, low 59. A cold front currently over the Great Lakes will move in our direction today setting us up for some much needed rain. We’ll see partly sunny skies this morning, then mostly cloudy skies with a chance of showers and thunderstorms this afternoon. Highs will be in the upper 70s with south winds around 10 mph. Chance of rain is 40%. Tonight showers and thunderstorms are likely. Lows will be in the lower 60s with south winds around 10 mph. Chance of rain is 70%. Tuesday should start out cloudy with showers likely and a chance of thunderstorms in the morning, then become partly sunny with a chance of showers in the afternoon. Highs will be around 70 with northwest winds 10 to 15 mph. Chance of rain is 60%. Tuesday night should be mostly clear as high pressure builds back in. It will be less humid with lows around 50 and north winds around 10 mph. Wednesday’s looking mostly sunny with highs in the lower 70s and west winds 10 to 15 mph. Wednesday night should be clear with lows in the lower 50s. Last year on this date we had a high of 80 and a low of 58. We picked up 0.74″ of rain. Record high was 95°F in 1948. Record low was 40°F in 1969. The Moon is waxing gibbous, 9d 18h old with 81% illumination. 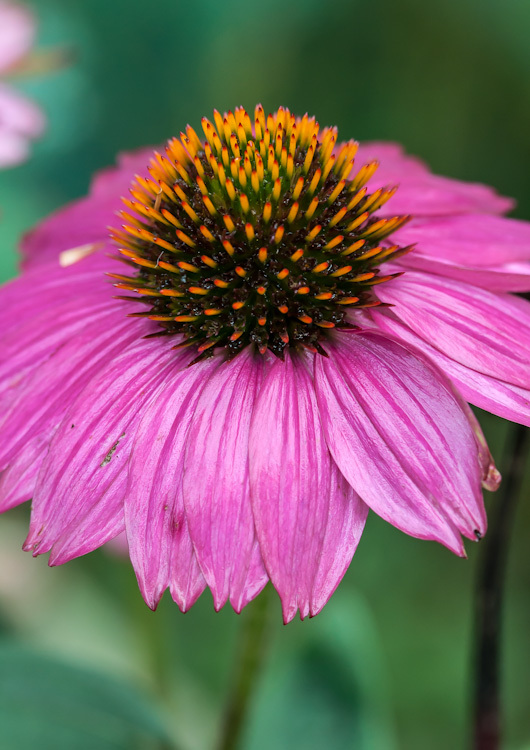 Echinacea blooming off the back deck. This morning in Huntington at 9:00AM it’s currently 72 degrees under clear skies. Winds are out of the west at 0-3mph. Relative humidity is 75%, dewpoint 64, barometric pressure 30.28. 24hr high was 86, low 59. High pressure currently centered off Nova Scotia will deliver another sunny this morning before some clouds move in this afternoon. There’s a slight chance of showers and thunderstorms this afternoon as some moisture moves in from the south. It’ll be another warm and muggy one today with highs in the mid 80s and light and variable winds, becoming southerly around 10 mph this afternoon. Chance of rain is 20%. Tonight should be partly cloudy with a slight chance of showers until midnight, then mostly clear after midnight. Lows will be in the upper 50s with south winds around 10 mph until midnight, becoming light and variable. Chance of rain is 20%. Monday should start out partly sunny in the morning, then become mostly cloudy with a chance of showers and thunderstorms in the afternoon as a slow moving cold front moves in from the west. Highs will be in the upper 70s with south winds around 10 mph. Chance of rain is 50%. Monday night showers are likely with a chance of thunderstorms. Lows will be around 60 with south winds around 10 mph. Chance of rain is 60%. Tuesday’s looking mostly cloudy and cooler with a chance of showers. Highs will be in the lower 70s with west winds 10 to 15 mph. Chance of rain is 50%. Tuesday night should be mostly clear with lows in the upper 40s. Last year on this date we had a high of 80 and a low of 58. Burlington norms for this date are highs of 78°F and lows of 57°F. Record high was 96°F in 1948. Record low was 40°F in 1987. The Moon is waxing gibbous, 8d 21h old with 72% illumination. 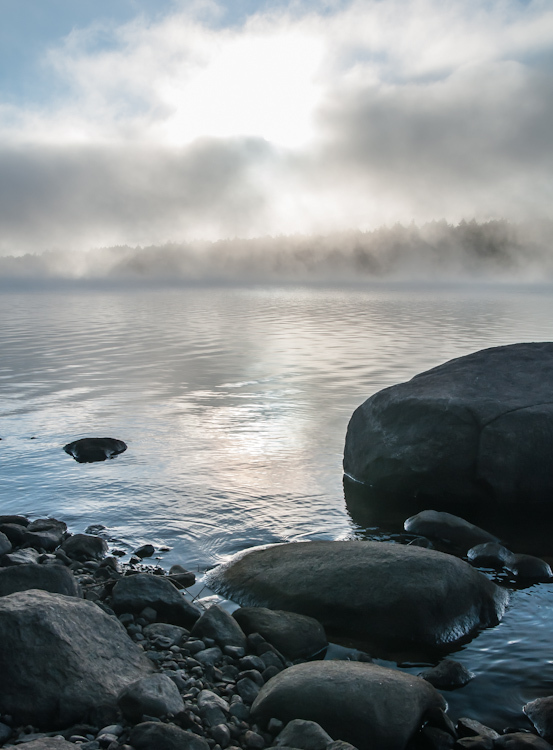 Morning fog burning off Indian Lake in the Adirondacks. This morning in Huntington at 7:15AM it’s currently 57 degrees under clear skies. Winds are calm. Relative humidity is 98%, dewpoint 56, barometric pressure 30.24″ and rising. 24hr high was 83, low 55. High pressure will deliver another lovely August day. We’ll see mostly sunny skies with highs in the mid 80s and light and variable winds, becoming southerly around 10 mph this afternoon. There’s a slight chance of pop-up showers or thunderstorms this afternoon due to diurnal heating. Tonight should be mostly clear with lows will be around 60 with south winds around 10 mph until midnight, becoming light and variable. Sunday should be partly sunny with highs in the mid 80s and light and variable winds, becoming southerly around 10 mph in the afternoon. Sunday night should be partly cloudy with lows in the lower 60s and south winds around 10 mph. Monday’s looking mostly cloudy with a chance of showers and thunderstorms as a cold front approaches from the Great Lakes. It won’t be as warm with highs in the mid 70s and south winds around 10 mph. Chance of rain is 40%. Monday night showers and thunderstorms are likely. Lows will be in the lower 60s. Chance of rain is 70%. Last year on this date we had a high of 76 and a low of 63. Record high was 97°F in 1947. Record low was 39°F in 1942. The Moon is waxing gibbous, 7d 19h old with 60% illumination.